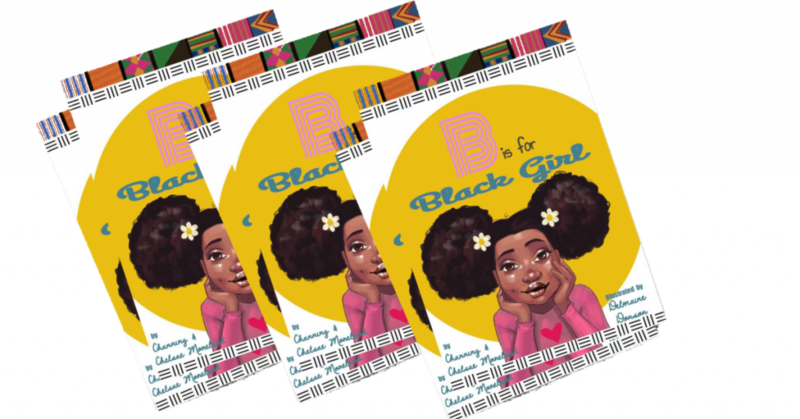 B Is For Black Girl, An AFROwesome Children’s book Reviewed by Sibo Tshabalala on February 4, 2019 . B is For Black Girl, the brainchild of Chelsae and Channing Moreland, twins, mothers, teachers who grew up with the privilege of seeing positive representation of Black Women in print and in reality. This Alphabets book seeks to empower and inspire black girls to embrace their uniqueness. Why was it important to you, to write this kind of a book? I (Channing) gave birth to my daughter (who is my 3rd child) in May 14 2018. From the day I found out I was having a girl I was on the hunt for books made especially for Black Girls, my daughter Nandi changed the game for me. When Chelsae and I were younger we had a collection of books, never lacking representation at home. 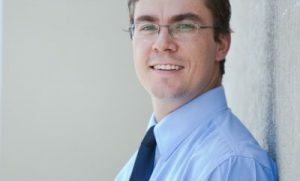 However we know that in the “real world” positive representation is few and far between. We know that for girls without access to a personal library in their homes there is no guarantee that they’ll come across books that are made to embrace, empower and inspire them. They have little control over what their exposed to and what may influence them. 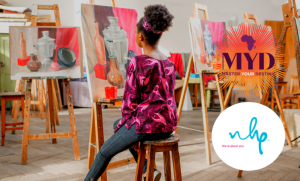 Writing this book was important to us because we want our daughters and all Black girls to see themselves, to love themselves and their Black sisters in all shades across the diaspora, we want them all to be proud of who they are and to feel empowered and inspired. A children’s book because childhood is a crucial time to instill self love, self respect, and knowledge of self. We don’t want our Black girls to have to wait until the “glow up” stage to feel beautiful and to learn self worth. We don’t want our girls’ self-worth to be determined by a society and a world who has always told us we were less than worthy. You used different shades (skin tones), and different texture hair throughout the book, what did you want to teach the girls concerning that? We want them to know that blackness comes in the widest variety of skin tones, textures and facial features and every variation is valid, worthy and beautiful! 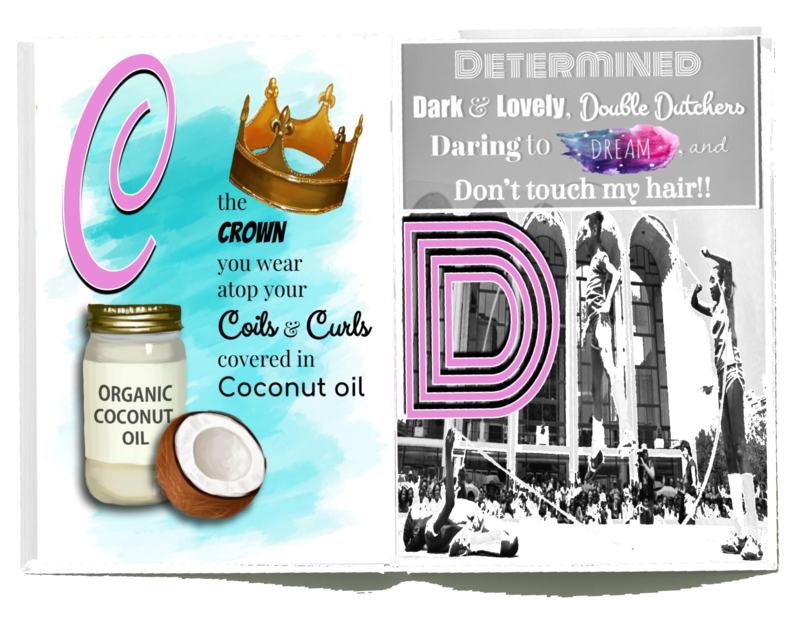 The examples range from: A is for AFRO, B is for Bantu knots; to, C is for coconut oil. What was the message behind using such relatable (to black girls) examples? 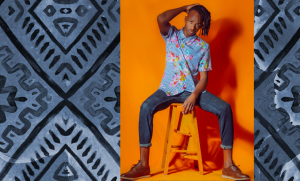 The message behind these relatable examples is simply claiming and embracing our style, culture and uniqueness. 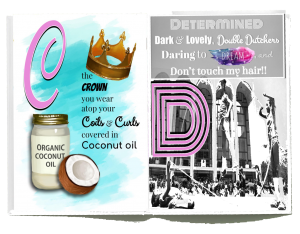 From our hairstyles, to hair maintenance, to products like coconut oil, to head-wraps, to freedom fighting revolutionary spirit and all of the above. THIS IS WHO WE(BLACK GIRLS) ARE, we are not limited to these things, but these things make up aspects of Black girl culture. What do you hope black little girls will walk away with, from this book? 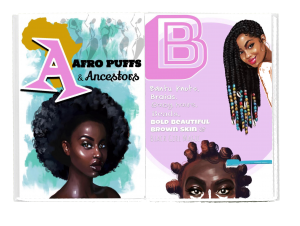 We want little Black Girls to look at this book and see their reflection and the reflection of their peers, to own those reflections and be proud! To know that they are worthy, powerful, capable and beautiful. Can we expect another installment or for this to be turned into a series of other books or songs..etc? Most definitely! 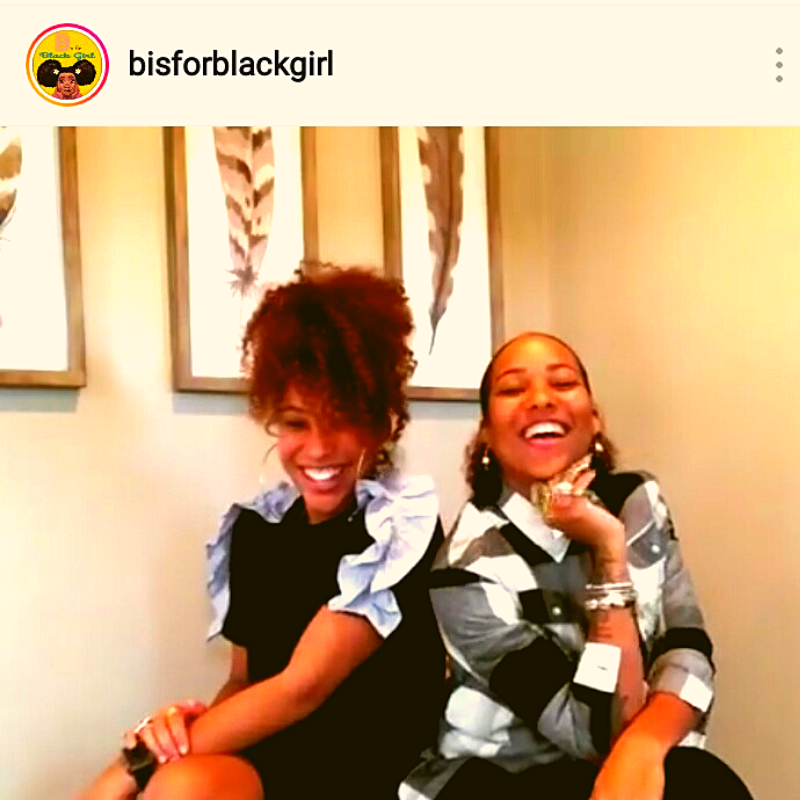 We’re working on a mini mixtape, we’ll be putting out other products to accompany this book, We already have another manuscript completed, and we have heard the request for a boy version and we are halfway through that manuscript as well, although black girls will remain the center of our focus. Both -our fondest memories are competing at track meets, the amount of young black excellence that filled those stadiums. The dedication, commitment, perseverance and strength was awe inspiring. Channing~ When I’m out and about in nature, in the ocean, on the grass connected to the earth, breathing fresh air, running, doing yoga and creating things! What contribution (legacy) would you like to give to the world? Channing~Lessons and guides to loving yourself, loving others, serving others, taking care of the planet, always always standing up for righteousness. This book is a beautiful representation of the importance of little Black girls, seeing themselves in Children’s books. For your very own copy, Order here.